Los Angeles-based Guru Jagat has a devoted following with the Inside/Out kundalini practitioners. Her book Invincible Living shares her unique teachings and provides a fresh take on ancient wisdom. A must-have if you're looking for energy-boosting, breath-driven exercises, quick meditations, and simple poses you can even do from your office desk. Do you suffer from neck pains? Go to the chapter on Taurus and the neck. How about sore knees? Learn preventive tips and exercises in the Capricorn chapter. Medical astrology is an ancient system that associate parts of the body, disease and the influence or the sun, moon and your astrological sign. 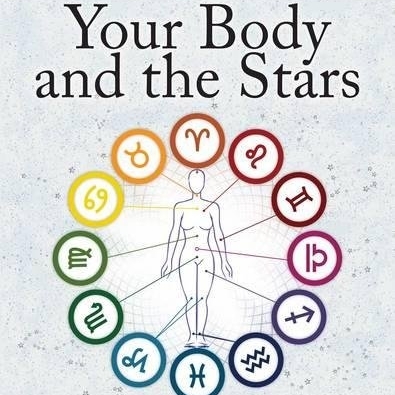 Inside/Out Expert Rebecca Gordon's book Your Body and the Stars is a guide that will help you identify your birth or sun sign and by the body region that needs healing attention. 200 recipes by French chef Angèle Ferreux-Maeght, the health food guru who runs two detox cantines and a weekly brunch. Her latest book encourages a vegan, gluten free and lactose free regime, through gourmets bowls, fresh salads, nourishing soups and satisfying deserts... all as tasty as they are beautiful. What's your morning ritual? Rediscover traditions, make time for a comforting breakfast and spend some quality time with your partner, family or even yourself. Stay for Breakfast! provides inspiration from across the globe to kick start the day with happiness, focus and energy. The goal: To lose 30 pounds in order to get back her career in a couture wedding gown company. In Fitness Junkie, the heroine is harassed by her bracelet, takes drugs with a shaman, sweats through boot camp classes run by Sri Lankan militants and (spins) to the screams of a Lycra-clad instructor with rage issues. A great parody of the wellness industry and encouragement to lighten up about our body obsessions. Stella Walsh was one of the first global track and field athletes. She competed all over North America, Europe, and Asia, accumulating silver and gold medals along the way. And while her accomplishments are undeniable, her legacy was called into question after her murder in 1980, with her autopsy revealing that she was a hermaphrodite. A secret she guarded all of her life, for fear of losing not only her medals but also of the social repercussions. Available here. Oprah calls this book "a testament to the power of vulnerability." Indeed, Love Warrior tells the story of the author's journey through pain and doubts, including the dissolution of her marriage. Overall, Glennon Doyle Melton tells how, If you are ready to unlearn everything you've been taught, and fight for authenticity, you can finally fall in love with your couple, after 13 years. It is an attempt to fight the gender stereotypes that make love impossible to last. Women Who Run with the Wolves was recommended three times in one month by our community members. Although it is not new, it may just be more relevant today than ever. This bestseller decrees that within every woman lives a powerful force filled with good instincts, passionate creativity, and ageless knowing. That of the "Wild Woman," an endangered species that society wants to "civilize". So learn how to howl, and go find your pack! If you long for new followers and stunning analytics, dreaming about an official sign next to your account handle, this guide is for you! In Read This if You Want to be Instagram Famous, Henry Carroll (who studied photography at the Royal College of Art and founder of frui.co.uk) shares the success secrets of the best Instagrammers around. Tone of voice, photo hacks, clever captions, daily account management - it's all there for the learning. À Paris is not the umpteenth book about the myth of the Parisian woman - despite the fact that its co-authors embody the style so well. Instead, Jeanne Damas - it-girl, model, designer - and Lauren Bastide - journalist and founder of feminist podcast La Poudre - celebrate a diverse cross section of 20 women, ages 14 to 70 from various walks of life resulting - enfin - in a taste of the real Parisian lifestyle and a true love for Paris.